Joe Flacco has proven time and again to be a valuable fantasy asset this season. Despite a quiet stretch from week 5 and 6, Flacco rebounded well this week throwing for 279 yards and two touchdowns. He also finished with a 98.7 passer rating. 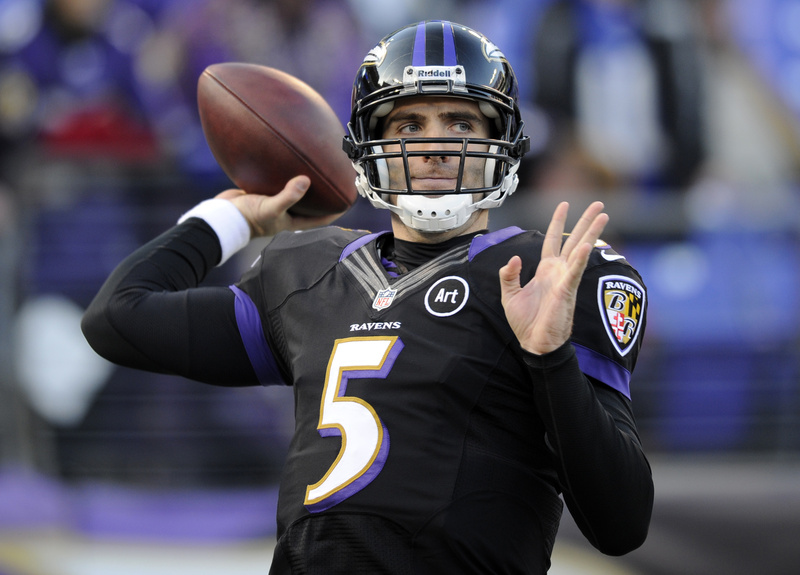 Right now the Baltimore Ravens are looking like a legitimate threat in the AFC, and Flacco is playing solid football. Flacco is worth the play as a streamer with upcoming bye weeks or based on the matchup. If not, he makes a reliable QB2 option and shouldn’t be undervalued as the season progresses. After Week 8, his schedule is favorable as he goes up against struggling passing defenses: Steelers, Bengals, Raiders, Falcons, Chiefs & Buccaneers. Flacco can be a sneaky add that pays dividends in a playoff push. So as of right now, Bortles has managed to maintain his starting position. With his inconsistencies as of late however, he is not a reliable option for your fantasy team. In most leagues, the quarterback position is your highest scoring player week to week. So if you have a quarterback that flops as often as Bortles, it can put your fantasy season in jeopardy. Bortles has only broken above a 60% completion rate three times in seven games this season, and his ten total touchdowns (9 passing, 1 rushing) haven’t really filled up the stat sheet. In addition, Bortles has reverted to his turnover prone ways of the past. Look to a different quarterback option while Bortles try to recover from his funk. The 49ers are a squad desperately looking for a light at the end of the tunnel. This team was ravaged by some key injuries to their offense and haven’t had a rhythm since. In the backfield, Alfred Morris, Matt Breida and Mostert have been splitting carries these last two weeks, but it has been clear that Mostert is having the most success. He has averaged 7.25 and 8.43 yards per rush in those two games respectively. Despite his rushing attempts decreasing from last week, he caught four passes this week to make up some of the difference. This shows that QB C.J. Beathard trust Mostert in the passing game should they start out with a large deficit (Which should be the case moving forward). With Breida dealing with an ankle injury, Mostert has the potential to bloom as one of this year’s fantasy breakouts, do not sleep on him. The reasons to add Mostert are all the same reasons you should drop Morris. Despite a relatively even workload between the running backs this past week, Morris has really struggled to generate any production. Morris has only broken 4 yards per carry in one game thus far, and most recently failed to reach even three. 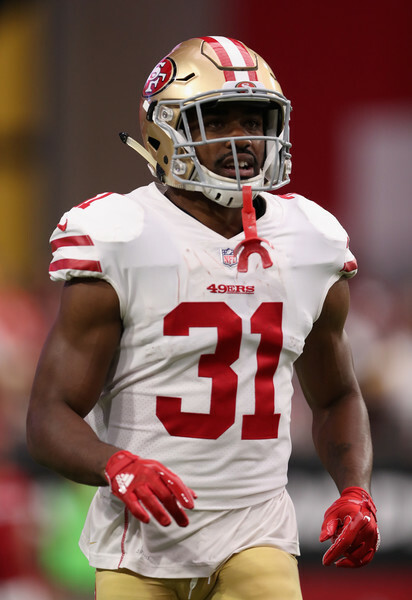 With Breida and Mostert excelling from both the rushing and passing aspects of the RB position, expect Morris to experience a down tick in productivity and playing time. A lot of fantasy experts have been predicting Williams to break out since early in the offseason and it finally happened! With back to back 118 yard performances and 3 touchdowns in the last two games, Williams is a very legitimate fantasy threat. 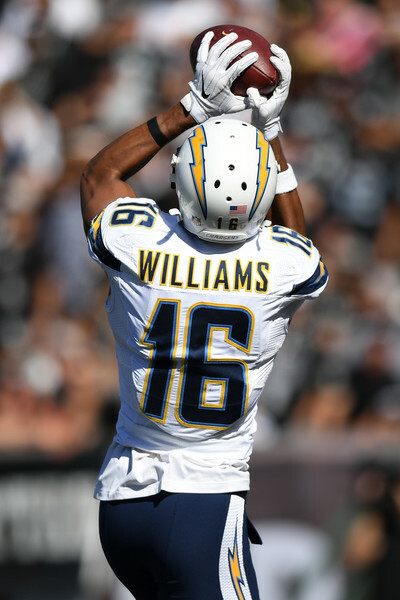 Another stat worth noting is that Williams has had a 100% catch rate in three games so far this season, meaning he has been making the most out of his opportunities and catching the ball when Rivers gets it to him. Beware of the Chargers offense and beware of their big play weapon Tyrell Williams. The Cardinals are really struggling right now. The veteran receiver has yet to really create any rapport with his rookie QB Josh Rosen and it has been really disappointing for fantasy owners who drafted Fitz because of his reliability. Amidst the chaos, the Cards have parted ways with their offensive coordinator Mike McCoy. While many are hoping that this change will spark a new light in their offense, many people underestimate the toll that hits and losses can take on a rookie quarterback, even one as smart as Josh Rosen. It’s time to drop Fitz. For the second week in a row Herndon has managed to find the endzone. In a world where relevant fantasy tight ends are in short supply, the rapport that rookie Sam Darnold has established with Herndon could be fantasy godsend for anyone struggling at the position right now. 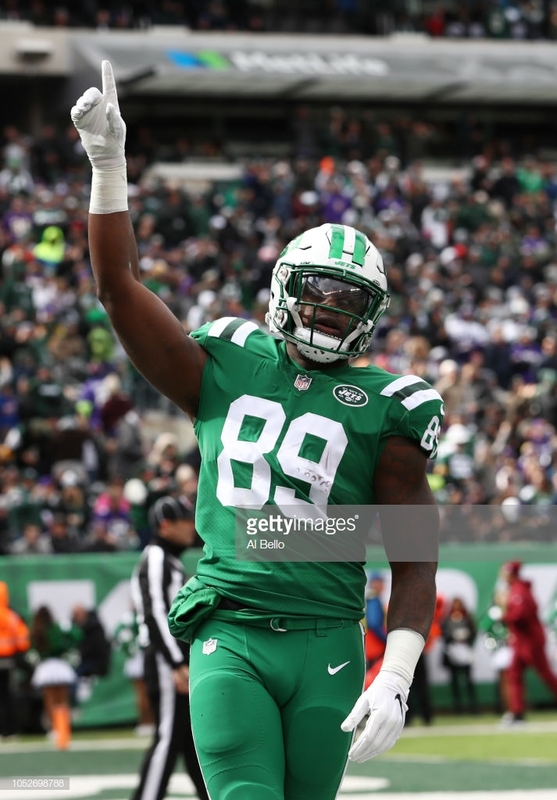 While his yardage totals have only broken the 50 mark once, he seems to be trending upwards and is one of the few targets on the Jets this year to have success in the red zone. With Jets still being within a fighting chance of the playoffs, expect them to double down on the rookie duo of Herndon and Darnold. This one surprised me a bit as I really didn’t think that Doyle was owned in very many leagues. When I saw he was still being used in about a quarter of leagues though, I decided to step in. Eric Ebron is the TE to own on the Colts people, he is playing like a top 5 tight end this year and I don’t expect him to be losing that job anytime soon. The Redskins has had a quietly stellar defense this season. Last year they were torn apart by injuries, but they had all the talent they needed to be successful on the roster. With some additional offseason moves they’ve created a really solid defensive unit. The defense has not been producing fantasy wise what they should be, but that is partially due to the woes on the offensive side of the ball, putting too much on the defense. It is looking like they are turning the corner however, and now is a good time to snag them before somebody else does. The Pats are an offensive minded team. Tom Brady is why that team is winning. I don’t know how many reports need to say this before these guys get dropped, because they are still owned more than a lot of stellar defenses. I just…. *sigh* please just find a new defense.